At Temple B’nai Chaim we are privileged to have Czech Memorial Torah Scroll #529, which was written in 1832. It is believed to be one of the Torahs from the town of České Budějovice, once the capital of Southern Bohemia and part of the Austro-Hungarian Empire now in the Czech Republic. The thriving Jewish community there built an ornate synagogue in 1868. On April 18, 1942, over 900 Jews of this city were deported to death camps and three months later the Nazis destroyed the synagogue. By the end of the war, only 120 of the 1,500 Jews of České Budějovice were still alive. When our former Rabbi, Charles Lippman, visited Czechoslovakia in 1991 only one Jew, an elderly woman, remained in the town. 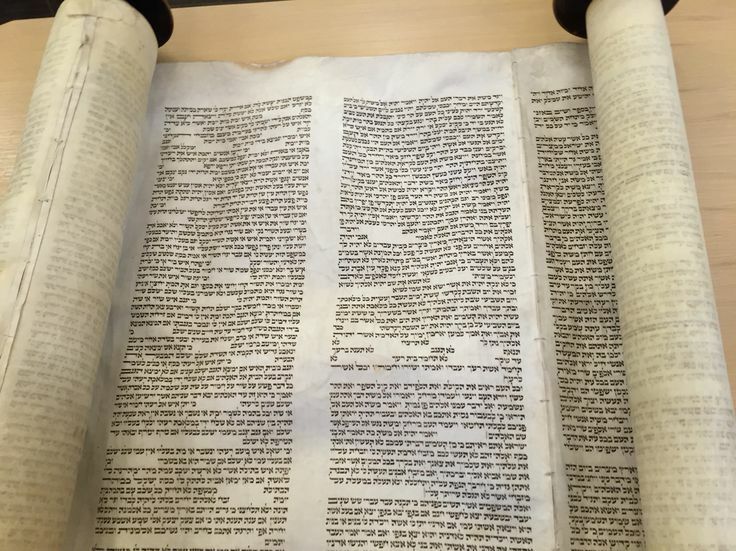 In 1964, the Memorial Scrolls Committee of Westminster Synagogue in London arranged for the shipment of 1564 scrolls to the Synagogue, where they were catalogued and repaired and restored when possible. 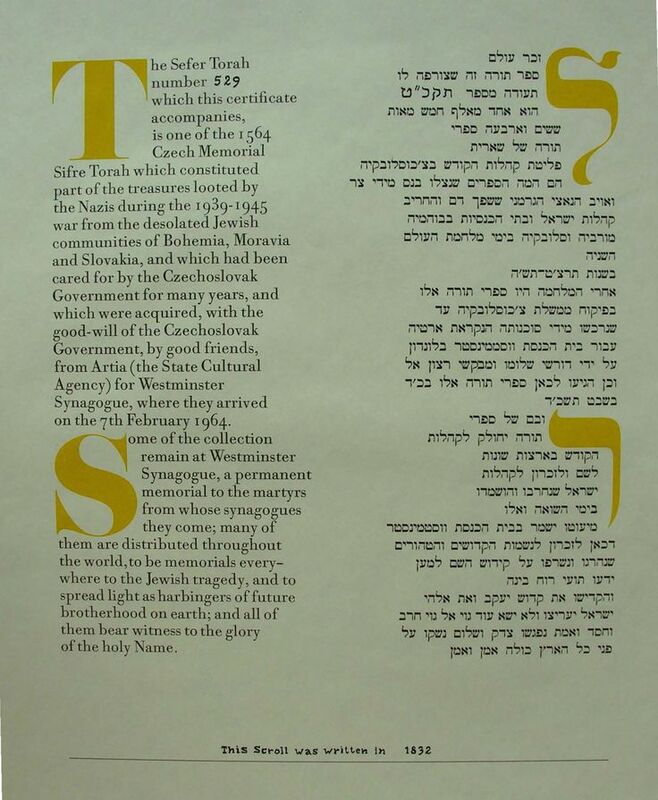 Each Torah was given a numbered brass plaque to identify its origin.Scrolls that could not be made fit for synagogue use were sent to religious and educational institutions as solemn memorials. Those that were repaired and could be used in religious service were sent to fulfill requests of synagogues all over the world in return for a contribution toward restoration expenses. The Memorial Scrolls Trust, a U.K. non-profit organization, has recently begun to reach out to synagogues and other instititutions who received the Czech scrolls to gather updated information about them. They plan to continue to enhance their website so it becomes “a repository of all knowledge concerning the 1564 scrolls, the Jewish history of the towns they came from, the Jews of those towns, their fate, survivors stories, photos etc. Also where the scrolls are now, how they are used and honoured etc.” More information about the Memorial Scrolls Trust is available on their website. In October 2015, a delegation of TBC members transported our Memorial Scroll to Temple Sinai of Sharon, Mass., where a number of Czech scrolls from around the region were reunited for a special ceremony and carried together in a procession. The certificate of identification for Memorial Torah Scroll #529.